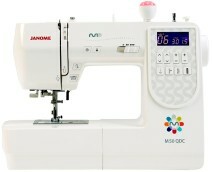 The Janome M50 QDC Computerised sewing and quilting machine which is ideal for beginner and experienced sewers alike, offering maximum creativity. The M50 QDC provides more features than other mid-range machines, as it’s more powerful The power of the three new M Series machines is 46 Watt. This is more power than the TXL607 (35W) and the DKS100 (40W). 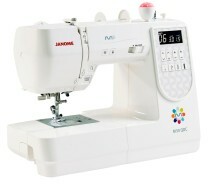 with 820 stitches per minute, more creativity with 50 stitches and 3 buttonhole styles, also includes several accessories. 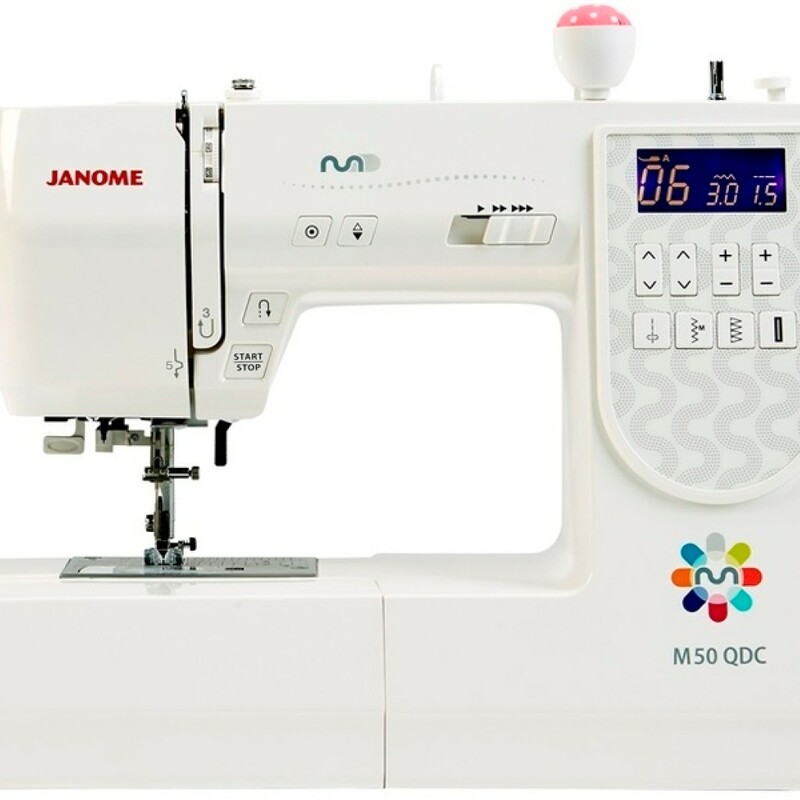 Plenty of features with the M50QDC, such as the bright LCD Screen, which displays the presser foot, stitch selection, stitch width & length. 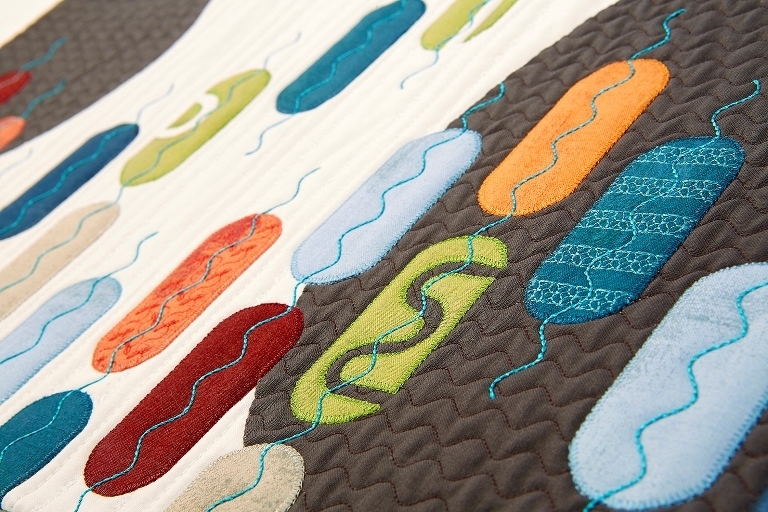 The control panel buttons allow you to access the utility stitches, straight, zig zag overlocking and buttonholes. The other stitches can be selected simply by entering the relevant number on the screen. 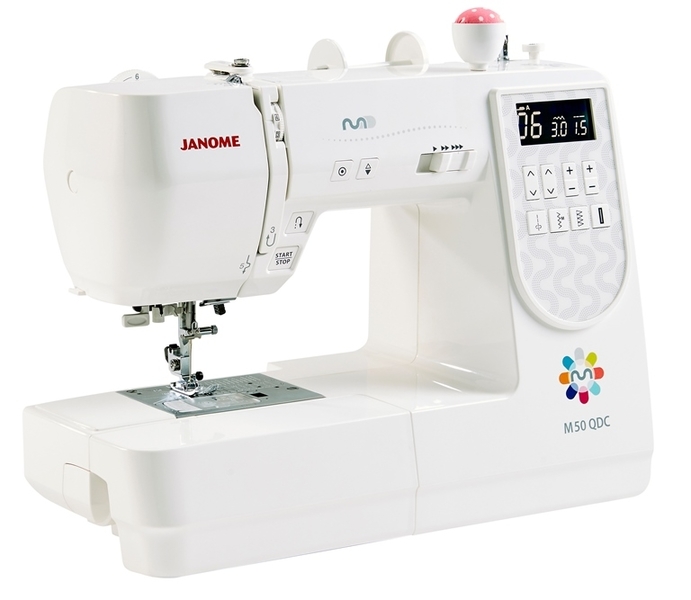 The Janome M50QDC can handle all types of fabrics from silks and cottons to tougher materials such as denims and soft leather. 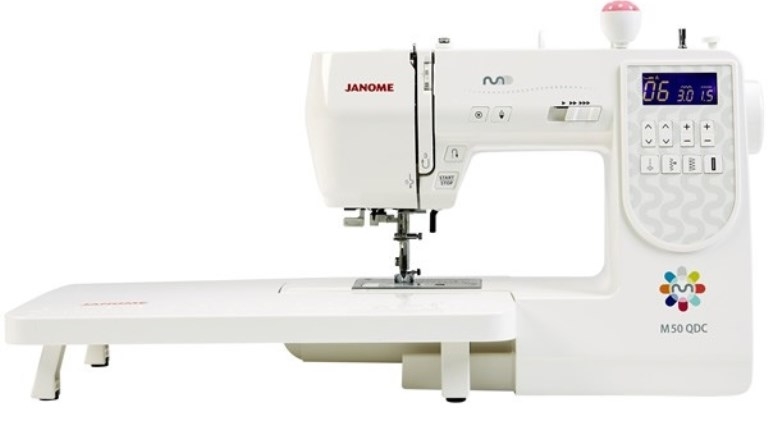 This machine also features the drop feed facility for free hand darning and embroidery and a seven piece feed mechanism which allows you to sew from the very edge of the fabric and helps keep stitches consistent. 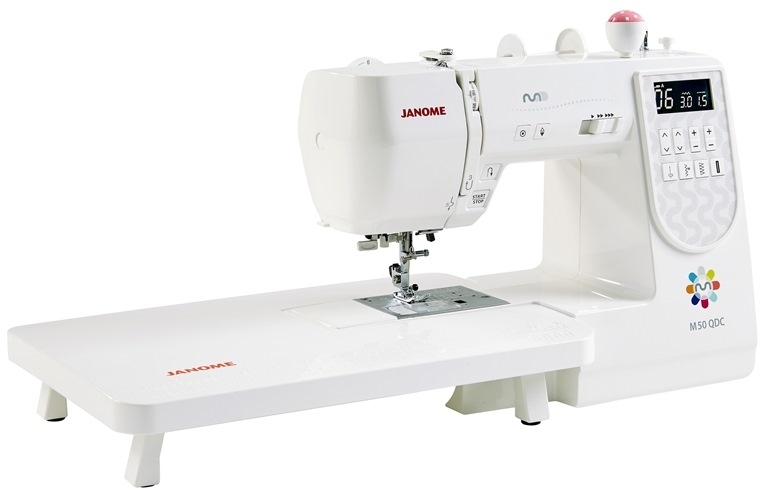 Sew with power, precision and confidence of a Janome M Series Model 50QDC.